Some people are easy to follow. There is something about them that gives us belief in ourselves and a desire to follow them and make great things happen. Other people are harder to follow. Being around them, following them, can be draining and demoralising. Meaning extraordinary leaders impart energy and vitality and spirit to the people they lead. It’s not that they are the bubbliest person in the room, rather they bring and give energy to others. 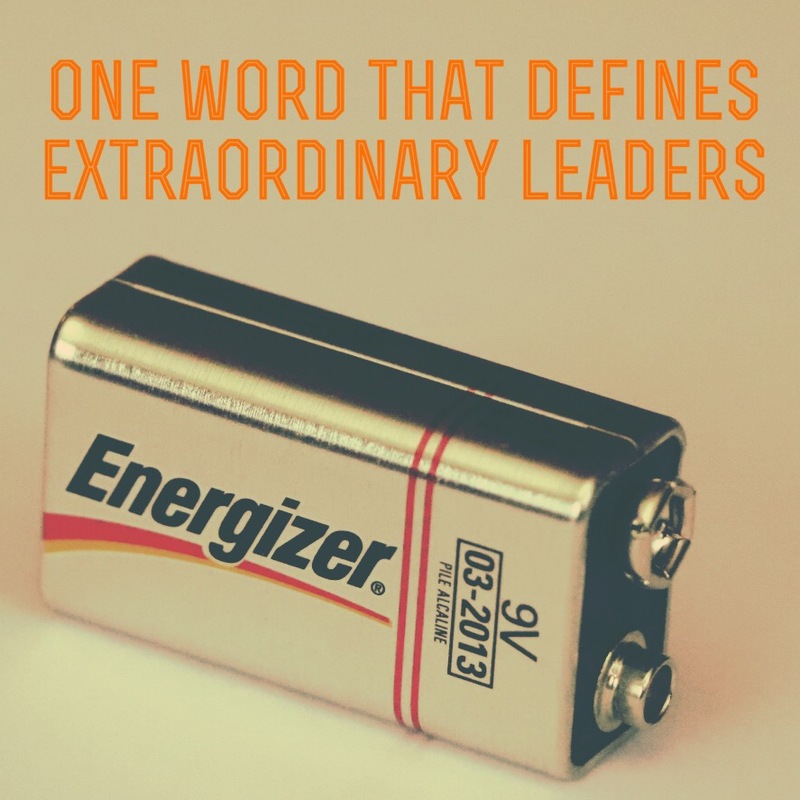 And being an energetic leaders seems to be powered by a bunch of other E words. STOP – SLOWLY read the list again. Does the list describe your leadership? Whether its large groups or individual meetings. People want to follow a leader who gives them the energy to move forward. If you’re struggling with the way you lead at the moment, its maybe because your team aren’t energised by you. You aren’t giving them the energy and empowerment and engagement they need to move forward. To succeed. And the hardest part of being an energiser … is trying to give energy when you don’t have any yourself. I’ve been reminded this week personally of the importance of making sure my energy levels are high, so that I can lead my team well. Why memories exist in the now.